Dell's best-in-class warranty support combines next business-day on-site support with proactive and predictive monitoring. Imagine you're on a business trip halfway around the world and your hard drive crashes. What do you do? Are you out some $2,000 to buy a replacement notebook, or do you go to a local computer repair facility and risk having your data exposed to an unknown technician? If you own a consumer laptop, you're looking at wasting at least a few business days in downtime and lost productivity while you wait for Apple's Genius Bar, Best Buy's Geek Squad or similar consumer-based warranty service to diagnose and repair your broken notebook. Business users choose an enterprise notebook specifically for the enterprise-class warranty, which promises a reduction in downtime. In addition to the basic protection, some warranty programs promise to do more than others. 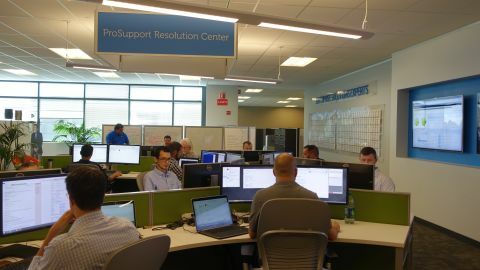 If you're a small business and don't have much budget to staff an IT department, Dell's ProSupport and ProSupport Plus are excellent options that maximize your investment in Dell's hardware by providing added value, and Dell's technical representatives can also provide basic IT-level service should you need help in getting the equipment in your office up and running. ProSupport is an optional subscription plan that's available on Dell's enterprise-class notebooks, servers and business-class hardware. In addition to providing troubleshooting, service and next business-day replacement parts for Dell hardware, ProSupport and the premium ProSupport Plus also deliver ecosystem support to ensure that your third-party hardware and software work together. There are several components to ProSupport and ProSupport Plus that allow you to reduce downtime, learn how to use your existing equipment and provide warranty support. On top of on-site service and pro-active next business day parts replacement dispatch offered on ProSupport, ProSupport Plus includes accidental damage protection and predictive monitoring software. The software monitors vital system components and can predict if a system component will fail in the near future. If ProSupport Plus senses that your hard drive, solid state drive, system memory or keyboard is about to fail, it will notify you of the impending failure and proactively ship you replacement parts.